As the 25th European Meeting of Cultural Journals commences in Oslo, it is timely to remember that cultural journals have long facilitated a level of intellectual exchange indispensable to societies that put stock in democratic and cosmopolitan spirit. 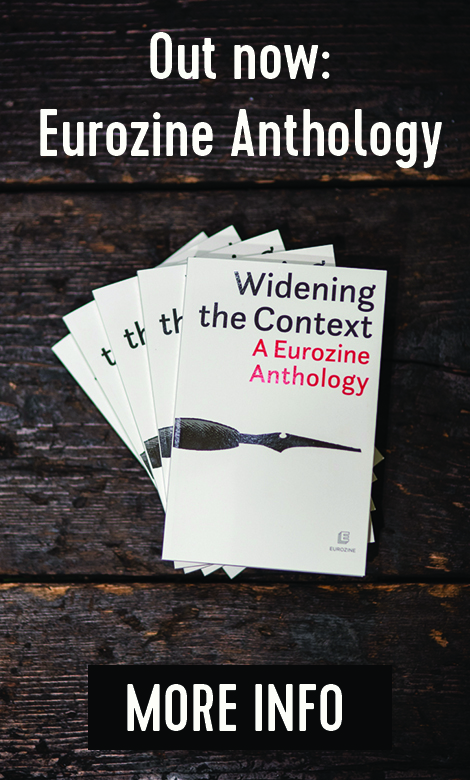 And, as ongoing crisis overshadows the upcoming European elections and the European integration project risks being reduced to the task of reaching formal economic goals, the contribution of cultural journals to a European public sphere is more important than ever. The upcoming European elections will take place in a troubled atmosphere. The current crisis is not only economic, it is a crisis of democracy, characterized by the rise of populism and a surge in “anti-politics”. The situation calls for new political partnerships, but these seem unattainable because of the institutional deadlock of the EU and the growing discontent of European citizens pressed by never-ending austerity policies. The EU was initially envisioned as a tool to bring people together, to unite different nations in a common project. But today, it seems as though Europe is willing to let divisive caricatures and radical national identities prosper, as long as formal economic goals are met. A whole range of different social movements protest this development and occupy public space as a way to recreate a common polity devising common purposes and re-establishing a common good. 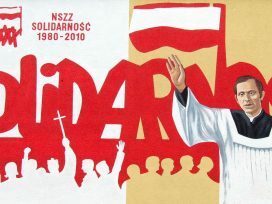 However, these movements, democratic in their inspiration, have so far failed to spread the spirit of participation beyond public squares and to translate their aspirations into a political formation that could change the direction of Europe. Those who support European integration – whether they are inside or outside the EU – call upon a “European public” to ignite and nurture a wider debate that would be truly transnational and could renew people’s dwindling faith in democracy. But how should this goal be achieved, when political articulation, deliberation and decision-making remain within the borders of the nation-state? What are the tools that could give substance to this appeal, which is as abstract as it is well-intentioned, tools that would give birth to a European public sphere worthy of its name? In the eighteenth century, a space for communication developed that was independent from diplomatic and scholarly circles: a “Republic of Letters”. The Brothers Grimm’s letters, Voltaire’s Philosophical Dictionary and Diderot’s and D’Alembert’s Encyclopedia, the birth of the press and the abundant correspondence of Enlightenment writers paved the way for a transnational circulation of ideas. This “public sphere”, constituted by the public use of reason, was characterized by a certain disinterestedness and a deeply rooted concern for the common good. For Immanuel Kant this possibility of using one’s reason to debate publicly actually defined the Enlightenment. Throughout the twentieth century, journals maintained their central role as agents for the exchange of ideas. Many of the aesthetic manifestos, philosophical programs and political alternatives were formulated and published in journals. Paradoxically, the fall of the Berlin Wall made this trans-European debate more difficult. Europe was reunified, but contact dwindled, and more and more intellectuals turned towards the United States, where public debate is organized in a very different way. 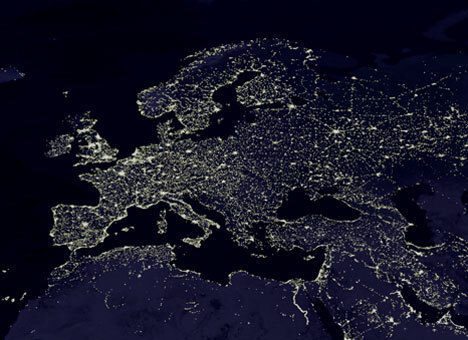 So, what can we expect from cultural journals in today’s “open European space”? It is precisely this question that brings together more than a hundred editors of leading European journals in Oslo this weekend. Under the heading “Making a difference. Opinion, debate and activism in the public sphere” these journals stake out a contemporary “Republic of Letters”, ranging from Russia and Ukraine in the east to France and the UK in the west; from Scandinavia and the Baltics in the north to Greece and Turkey in the south. Almost everywhere in Europe, there are, in theory, no restrictions on the exchange of ideas. But this formal guarantee masks a lack of reflection on the actual preconditions for a genuine public sphere to emerge. What comes to mind is usually the freedom of the press, but the role of newspapers, radio and television is above all to report on and to analyse current events. This reactivity is rarely possible to combine with the distance and long-term perspective that is necessary for the development of public debates of fundamental significance. In Europe, the press remains national, yet its take on current events is remarkably homogeneous. Despite initiatives such as Eurotopics and Presseurop there are few examples of confrontation between antagonistic points of view from various countries. With the development of digital networks, people have access to new channels of expression. But so far these channels tend to favour dispersion, emotional responses and the forming of self-contained communities rather than to foster an open and contradictory public debate which could energize the European public sphere. 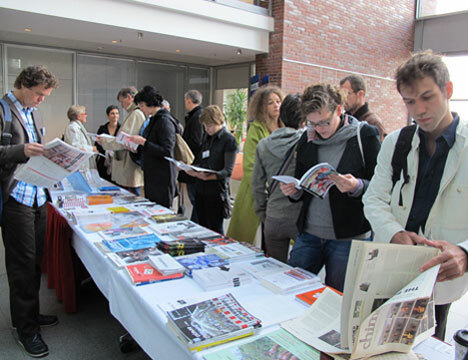 A scene from the 24th European meeting of cultural journals held in Hamburg in 2012. Photo: Nadine Blanchard. This is why journals continue to be irreplaceable, not least because of the long-term editorial work they represent. In fact, journals are building a new kind of European discourse: not an abstract way of discussing ideas, cut off from any country and exclusively devoted to international issues, but a conversation deeply rooted in local peculiarities and problems, composed of echoes and translations, where people read one another’s texts and question one another’s beliefs. This original work is made possible by small organizational structures relying on a common language as well as on translation. It is done by people who write but also meet with each other, blurring the boundaries between genres and disciplines, moving from art to activism to academic research, and vice versa. 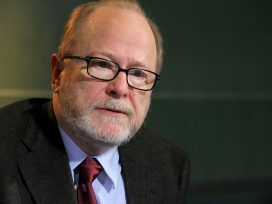 Public debate in Europe cannot be reduced to a few founding principles, to controversies between economists on the norms and restraints imposed by Brussels or to legal debates about institutional reforms. We hope that a real political debate will emerge during the upcoming European election campaign. The significance of such a debate goes way beyond the borders of the EU, but it cannot spread even beyond the boundaries of political parties unless the European public sphere grows stronger. One of the ways to make this happen is to further the intellectual exchange taking place in Europe’s journals. Cultural journals come closer to the ideal of a European public space than any other media. After all, since the eighteenth century, they have ensured a circulation of texts and ideas that is indispensable to any society that puts stock in democratic and cosmopolitan spirit.